Since there appears to be a dearth of tiffin-related items in my own family photo collection, I will delve into my mother-in-law's archive of images for a contribution to this week's Sepia Saturday mix. Stopping by the side of the road for a cup of tea must, I suppose, have been a relatively common occurrence, even in the late 1930s when this snapshot was taken, but it must have been a pretty quiet country lane to contemplate laying out the picnic paraphernalia in the roadway itself. My mother-in-law - I'm guessing around six years old at that time, and therefore dating the photograph to the late 1930s or early 1940s - is sitting on the running board of the car while her mother prepares the tea. My wife tells me that this was achieved with the aid of a parafin stove - hence the need for a flat, stable surface, I suppose. She doesn't look particularly enamoured at the prospect, but perhaps there were some rather fearsome cows or an over-friendly cart horse in a field off camera to the left. The car appears to be a Rolls-Royce Phantom II Continental, the chassis for which was built in Derby, but I'll leave further identification of the make/model/year to those more knowledgeable. ... and travel guides. These maps and guides are from my own collection, purchased over a number of years from a number of sources - mainly on eBay - and therefore relate to the Midlands, from where my father hails, rather than the south of England. First edition hard back binding in publisher's original burgundy cloth covers with rounded corners, gilt title and author lettering to the spine and to the upper panel. 8vo. 8½" x 5½". Contains over 600 printed pages of text with colour maps, cord bookmark with opaque plastic tag with AA logo. After the passing of the Motor Car Act in 1903, it was almost impossible to go anywhere in a motor car without receiving summonses for exceeding - sometimes by a mere fraction - the legal speed limit of twenty miles an hour. To meet the situation some motorists organized and maintained at their own expense a few cyclists on the London-Brighton road whose task it was to warn all passing motorists of "police traps." In August, 1905, the work was put on a permanent basis and the Automobile Association came into existence with exactly ninety subscribers. The AA Road Book was first published in 1925 but by the time this edition came out, they were doing a lot more than warning their members of pesky speed traps. The first section includes a comprehensive series of 785 itineraries, with a map index, for all the major and minor routes around the country, including that for Leamington to Derby, shown above. Much of the book (pages 211-648) is taken up with a Gazetteer, with potted descriptions of towns and some villages, including suggestions for "day drives" emmanating from the larger towns. Simplified maps of the larger centres show the arterial routes and some of the major roads for ease of navigation. Finally, there is a full colour atlas or map section, based on the Bartholomew series, with a series of 23 pages covering England, Wales and Scotland as far as Edinburgh. Presumably any decent Englishman wouldn't think of driving any further north than that without a passport and a Baedeker. Enough from me for this week, as I'm about to head off on some travels of my own, although not in such grand style. I'll be away for some weeks, but I will have my notebook computer with me and supposedly decent internet access, in spite of the exotic, remote location, and therefore hope to keep blogging at fairly frequent intervals. Whether I find something appropriate for Sepia Saturday is another matter, but for now you can head over to catch everyone else's contributions. This week's Sepia Saturday theme gives me an opportunity to show off another eBay purchase, one which would have had a lot more relevance to my great-grandfather Charles Vincent Payne (1868-1941) than to myself. This silver gelatin print mounted on thick white card with an embossed rectangular frame was an unusual purchase for me, as I know nothing about operatic musicals and, to be honest, am not particularly partial to them either. However, I am intrigued by the late Victorian fascination with all things Oriental, including The Mikado written by Gilbert and Sullivan and first produced at the Savoy Theatre by the D'Oyly Carte Company in March 1885. I believe this group of nine young ladies dressed to the oriental nines, bedecked with fans and a multitude of hair ornaments, must be participating in the chorus for a performance, possibly amateur rather than professional, of "The Mikado." The group portrait appears to have been taken by photographer Henry Spink of Brighton on a visit to the performance venue, since the background includes appropriately painted oriental scenes. Their costumes are very similar to those shown in a poster for one of the professional D'Oyly Carte productions, depicting the "Three Little Maids from School." The Three Little Maids - in this case, the actresses Sybil Grey, Leonora Braham and Jessie Bond - are also shown in this photograph from the first D'Oyly Carte performance at the Savoy Theatre. Whether the painted scene is a theatre prop from the actual performance or a specially prepared studio backdrop is unknown. The instant success of the opera, even across the Atlantic, is demonstrated by this tintype from the mid- to late 1880s (courtesy of The American Museum of Photography), also showing the "Three Little Maids" in a pose which was widely emulated for advertising purposes. In this case, the painted backdrop seems to be a generic, rather then specifically oriental scene. A delightful card for The Tricora Corset is a typical example of the advertising produced with this theme. Photographers also made full use of the commercial possibilities, such is in this "paper moon" style of cabinet card portrait by celebrity hunter B.J. Falk picturing Geraldine Ulmar, one of the cast in the original 5th Avenue D'Oyly Carte production which ran from August 1885 to April 1886. She also appears as the central figure in the "Three Little Maids from School" poster. David Simkin's thoroughly researched work on the Spink family of photographers from Brighton very usefully includes a dated list of studio addresses. This suggests that Henry Spink Junior operated from 109 Western Road, Brighton from 1896 to 1934, but that his portraits show the name "Henry Spink" - as opposed to "Henry Spink (junior)" or "Spink (Brighton) Limited" - only from 1911 to 1921. It seems likely to me that this group portrait is from the early, pre-War part of that period, say between 1911 and 1914. By the turn of the century - perhaps even earlier - The Mikado was being performed by amateur dramatic societies. Alan Craxford has written about his grandfather's involvement with local amateur dramatic society in Leicester in the 1920s and early 1930s, and includes a programme for a performance of The Mikado in April 1904 which he surmises that his grandfather may have attended. It seems likely that after the Second Savoy repertory season from April 1908 to March 1909, a revival of interest may have led to increased amateur performance of the opera throughout the United Kingdom. I haven't yet found documentation of such a performance in Brighton, but I'm sure that if there was one, the records will appear on the net eventually. In fact, Brighton hosted the first provincial production of The Mikado in July 1884, a little more than a year after its original debut. My great-grandfather, shown here in what I assume was one of his theatrical get-ups, might have had quite a different life had he chosen to take up a reputed offer of a contract with the D'Oyly Carte Opera Company. As it was, he worked as a coach builder, a builder and a grocer, then was in business as an estate agent for much of his working life in Derby, but many of his leisure hours were taken up with amateur singing and dramatics (see Whistling Bird, the Arizona Cowboy and the Disappearing Lady). Join Sophie Tucker with her "I Can't Get Enough Of Your Love," and other such entertaining stories - head over to Sepia Saturday for this week's smorgasbord. I haven't got off to a very good start with my return to Sepia Saturday, having missed last week's edition, but hopefully I'll manage to submit this week's in time. Alan's choice of image prompt depicts a vibrant, busy market scene at Ballybricken Green in Waterford. The photograph was taken by A.H. Poole in 1910, and is full of people, animals and character. My own contributions this week are a carte de visite and two other mounted photos of similar size, but trimmed. All three are from an album that I purchased a few years ago on eBay. The carte de visite shows a man in working clothes, sturdy leather shoes and peaked cap in the act of filling a metal bucket with water from what appears to be a hand pump encased in wood, set against a brick wall. The pump looks to be fairly new - at least the casing's been freshly painted. The man's clothing is obviously not his Sunday best, and the brick wall looks somewhat decrepit. With no photographer's details or an inscription to identify the subject, it's a little difficult to date, but I estimate it was probably taken in the late 1890s or early 1900s, a decade or so prior to Waterford market scene. I've chosen it for today's post because, even if posed, it represents something not often seen in family photos from this period, an accurate, natural and matter of fact depiction of everyday life. The other two photographs have been trimmed to roughly CDV size, presumably to fit in the album slots. One shows a young man, again in trousers, shirtsleeves, waistcoat, leather shoes and flat cap, standing outside a stable, with a horse poking its head out. The walls of the very high-ceilinged stable look in substantially better trim than the wall seen in the first photo. There is a water trough made from a wooden barrel at lower left, with a tap for refilling it, and a cast iron grating - presumably a drain cover - can be seen at lower right. Again there are no identifying marks to indicate the location or the name of either the photographer, the young man - or the horse, for that matter. The third photograph is a silver gelatin print mounted on grey card with a slight fabric "grain" on the reverse, and was possibly taken some years later, although it is difficult to be more specific. It depicts a man, perhaps middle-aged, with a rather splendid white moustache, apparently interrupted while gathering in the hay. He is dressed, once again, in working clothes, but this time wearing a wide-brimmed fedora-style felt hat and carring a two-tined pitchfork. The man stands in a field bordered by stone walls, and in the background a rural scene and collection of houses can be seen. At the time I purchased the album, the only clue to its contents was an inscription in the front. There was not a single inscription on the photos themselves, or any annotations on the album pages. However, a good proportion of the portraits in the album were by Derbyshire studio photographers - indeed, that is what attracted me to the album in the first place. I had little success in tracing Henry Mitchell - it was just too common a name to be sure I had the right one. However, in February 2007 I posted images of several of the portraits by Derbyshire studios in the respective profiles on my Derbyshire photographers web site, including a CDV and cabinet card by W.N. Statham of Matlock Bridge. Some time later, I was very excited to hear from Marilyn McMillan and Betty Jane Rotteau, from Ontario and British Columbia respectively, who had identified some of the individuals in these portraits. Actually, an enlarged, coloured and framed version of one of the portraits, depicting her great-grandparents Henry and Ann Jane Statham, hangs on the wall of Marilyn's home, so there could be no doubt whatsoever about the identification. I wrote an article about this exciting discovery here on Photo-Sleuth in February 2008. Apart from the information sent to me by Marilyn, I had done some of my own research into the family, because it turned out that not only were they closely related to the photographer W.N. Statham, but there was also a distant connection with my own family - one of the Statham photographers married my grandfather's sister-in-law, Jessie Louisa Hogg. However, I still had been unable to discover any links to a "Henry Mitchell." Just to give you a bit of our Statham ancestry to help make sense of this. Isaac Statham married Sarah Carline and they had 6 children who lived to adulthood. Isaac married in 1873, Henry was our gr-grandfather who you know about, Louisa and Caroline never married but lived together their whole lives, William was with Louisa & Caroline until 1911. I am still looking for a marriage and/or death for him. Then there was Clarissa. 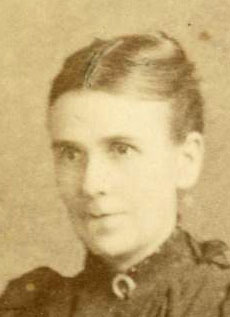 She married Henry Mitchell in 1882 and they had 3 children. I think this is the Henry who wrote the above message. From what I can figure Allestree was near Derby at that time, whether this is where Henry & Clarissa were living I don't know for sure. During the 1891 and 1901 census Henry, Clarissa and family were living in Derby area, Quarn Street and Elm Street. Their children's birth were all registered in Derby. Both Quarn Street and Elms Street are just off Kedleston Road, in a north-western suburb of Derby. 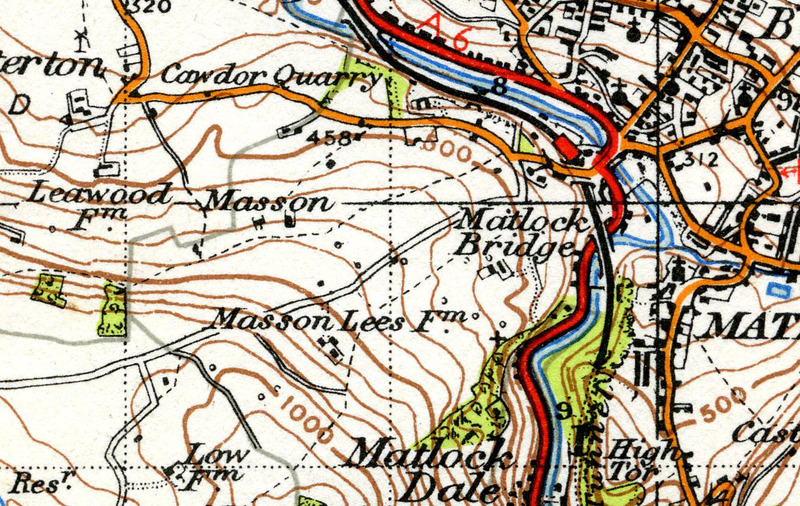 In fact, both addresses are now shown as part of the same cul-de-sac, the road system having been modified somewhat over the last century or so. It is not too far from present day Allestree, which nowadays is really just another suburb of Greater Derby, although separated from it by the A38 motorway. This just raises more questions. I wonder who Henry was referring to when he wrote his message. Could it have been a message to his sister-in-laws, Louisa and Caroline who took care of their father until he passed away in November, 1894. I think it's quite possible that Henry gave the album to either Isaac Statham senior or Caroline and Louise, but most likely to his sisters-in-law. When Caroline died in 1931, the executors of her will were Frederick Lewis Mitchell and Edward Mitchell, the two sons of Henry and Clarissa. It seems very likely that either they or their sister Clarissa Zenobia, by then married to Thomas Hayes, inherited the album, perhaps along with other family effects. That is, of course, just a wild theory. However, it would explain how photographs from Loughborough and Leicester found their way into the album, since I note that in the census records Henry Mitchell states that he was born in Loughborough. 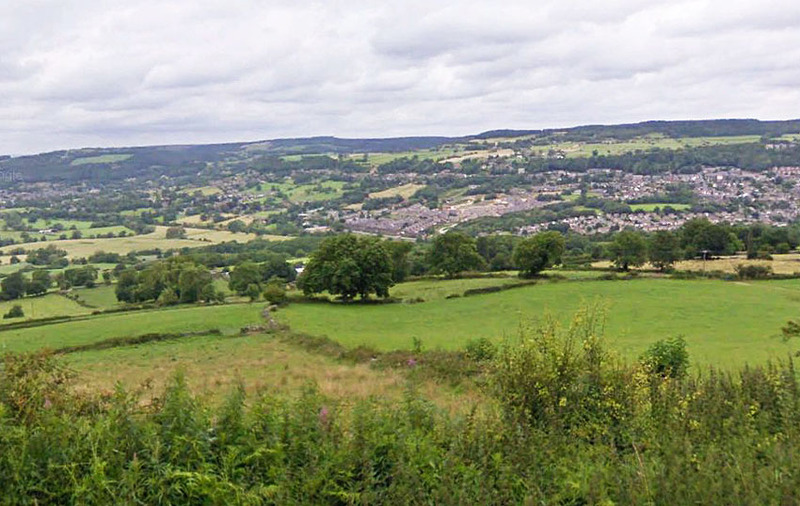 Most of the photographs are from Matlock, Matlock Bath, Chesterfield and Derby. 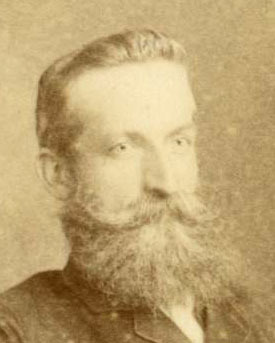 It is important to note that there are many portraits which were taken well before the album was purchased and inscribed in 1894, so they must have been inserted afterwards. It is tempting to theorise that many of the older Derbyshire portraits could be of other members of the Statham family. I am also intrigued by the possibility that the portraits of the man by the water pump, the horse hand, and the haymaker could all have been taken at or near Masson Farm. It's possible that all three may be the same man, Henry Mitchell's brother-in-law William Statham (1864-1944). In May last year Chris Statham, grandson and great-grandson respectively of photographers Percival "Percy" Joseph Statham (1894-1977) and William Nathan Statham (1863-1940), was in touch with me. Subsequent emails have revealed that he has in his possession the family photo album of Abanathan "Nathan" Daffin Statham (1823-1874). Among other interesting items of information about W.N. Statham's career, Chris also sent this imposing portrait of the photographer in his Freemason's regalia. I am most intrigued, and the next step will be to ascertain whether any of the people who appear in the "Mitchell/Allestree" album also appear in the "Abanathan" album. In particular, my primary task will be to identify the man/men in the three farm portraits. The other contributions for Sepia Saturday this week may not have chosen a similar theme to mine, but you can sure they will be well worth a visit. The Sepia Saturday photo prompt this week is an image showing Queen Victoria's vast kitchen, part of the newly released (online) Diamond Jubilee Scrapbook 1897. Rather than try to match that, I'm goping to down-scale considerably, although remaining with domestic interiors. John Bradley sent me this image of a rather unusual carte de visite portrait some time ago, but I neglected to include it in the revision of my web page for Derby photographer James Brennen a year ago. It is unusual for the three-dimensional feel of the photograph, in spite of it being an very early example of this format. From a close examination of the image I believe this is partly because it was taken in a real living room, rather than in a manufactured studio setting. The subject, an elderly woman wearing a bonnet, is seated in an armchair which is mostly in shade, emphasizing the bright shaft of sunlight falling on her skirt. It is the shadows, often purposely absent from artificial studios, which give the portrait much of its character. The furniture in the background, possibly a fireplace and mantelpiece, appear to be real, rather than painted onto a coloured or patterned backdrop, lending to the enhanced depth of field. The bell-pull - if that's what it is - suggests a house big enough to have servants who could be summoned. Perhaps not Buckingham Palace, but probably a family of some means. The reverse of the card mount is imprinted with a design that I have classified as one of Brennen's earliest, used c.1862-1863. The seated view, with the subject's body facing forwards, directly into the photographer's lens, is typical of portraits taken in the previous decade, when collodion positives (aka ambrotypes), and less commonly daguerreotypes, were the norm. James Brennen was, in fact, one of Derby's very early photographic practitioners, having first opened a studio at 14 Irongate in 1853 or 1854, so would have been quite practised in studio portraiture by the time this was taken. It would not be long, however, before he was taking more conventional full length standing portraits with the obligatory ornate high-backed chair and curtain which became the accepted style, as demonstrated by the example above, also taken by Brennen, probably c.1862-1863. So was Brennen making house calls in 1862-1863? Perhaps only for the elderly and infirm who couldn't make it to his studio. We shall probably never know, but this portrait is worth valuing for the character invoked by the photographer's use of a little extra light and shadow. It's been almost six months since I last wrote an article for Photo-Sleuth or made any contribution to Sepia Saturday. The reason for this has been my involvement, in a variety of roles, in the Rena Oil Spill Response which has just been wrapped up. I've posted a few photos taken during my Rena adventures since mid-October over at my Gluepot Gazette blog if you're interested in seeing what I've been up to. I'm afraid there just hasn't been the time for catching up with fellow SS enthusiasts' efforts, let alone researching old photographs. While I await the outcome of several job applications currently in the pipeline, I'll hopefully have a little more time to do both over the next few weeks. Several family members worked for the railways during Victorian and Edwardian times, but they appear to have left little in the way of ephemeral evidence of such employment. I'm concentrating, therefore, on the "model railway" aspect of Alan's photo prompt with an example from my collection of purchased photographs. I'm not sure why I purchased this one; it doesn't have the usual pre-requisites for my eBay purchases, e.g. from Derbyshire. Perhaps it reminded me of my brief childhood passion for making models, although I never made anything approaching the quality of this example. It is a print (100 x 70mm) mounted on card with rounded corners and unusual dimensions (105 x 82mm), a size/shape I tend to associate - rightly or wrongly - with shots taken by amateurs in the late 1890s and early 1900s. The subject appears to be a model of an early railway locomotive, its wheels resting on wooden rails. My knowledge of early steam is so meagre that I couldn't begin to make an identification, but from a cursory glance through a selection of Googled images I'm guessing it was a design from the mid-1800s. An inscription handwritten in pen at the base of the mount, below the print, suggests that the photograph was taken in Brighton on 10 October 1905 (10/10/05). The reverse shows a handwritten insciption in pencil, Built by J.B. Winter, probably in a different hand to that on the front. A little research on FreeBMD and Google revealed that this is most likely to be one John Bradbury Winter (1869-1950), a medical doctor and renowned model maker. 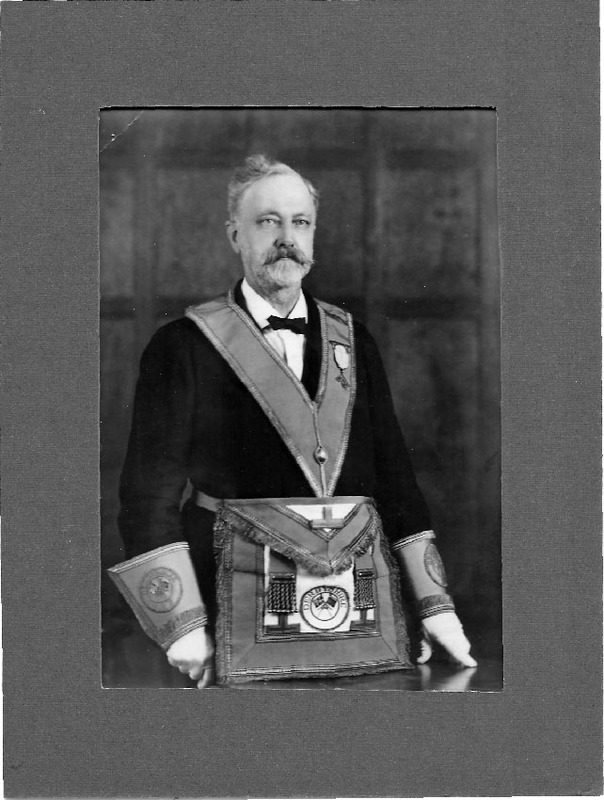 Born in 1869 at Brighton, Sussex, he was the son of John Newnham Winter (1830-1907) and grandson of Thomas Bradbury Winter (1797-1874), both surgeons. It has occurred to me that the inscription could have been made much later than the photo was taken, and might even be a hopeful, rather than strictly factual, attribution. I'd therefore be interested in hearing from model makers and enthusiasts who might be able to identify the model of locomotive and suggest whether the workmanship is up to Mr Winter's calibre. Dr John Bradbury Winter was a model maker with incredible skill and patience, and everything he made was simply a reduced version of the prototype. I remember reading long ago about a model he built of William Stroudley's "Como" that involved him crawling inside the tender of the original to ensure that he had every detail correct. It's currently in the Brighton and Hove Museum. If you have any further information to add to the story, please leave a comment or get in touch by email. Also, please do visit the contributions by other Sepia Saturday participants this week. You're guaranteed to be entertained.